Pacific Coachlines is an Australian accredited tour and charter bus operator. We have an extensive operation of bus and coach services: transfers, shuttle buses, coach charters, day tours, event management and transport logistics available for your selection. 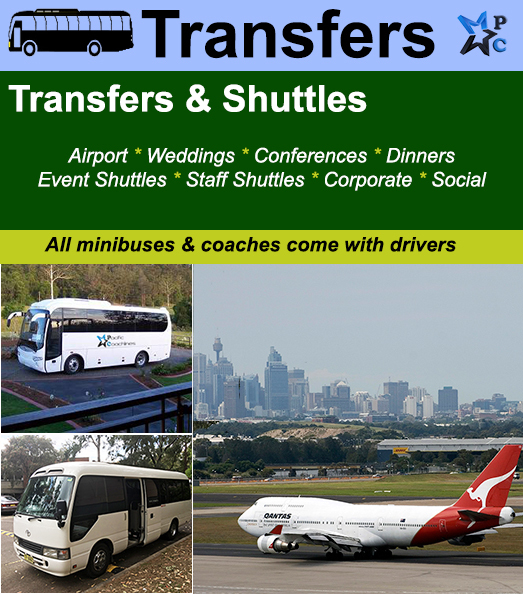 Pacific Coachlines can provide the minibus or coach for any event, any occasion in Sydney or extended overnight charters and transfers interstate or NSW cities. With an extensive range of minibuses and luxury coaches available, we have your requirements covered. All minibuses are able to pull large, secure, weatherproof luggage trailers for bags and suitcases, golf clubs, music equipment or office supplies or whatever you may be requiring to transport. All our transport services are private for your convenience which means 100% dedication to you and your group. Pacific Coachlines has the expertise and local knowledge to make your bus charter or coach transfer successful. 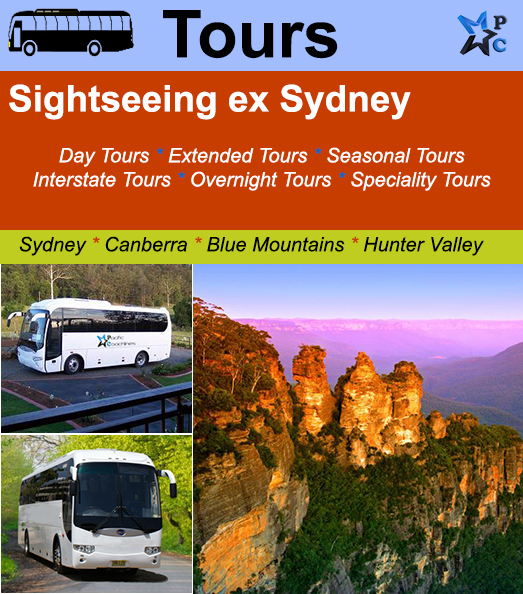 All our prices for tours, charters and hire are inclusive of GST, all minibuses and coaches come with a professional driver with driver’s authority to carry passengers, all our buses are accredited under NSW Transport and RMS. We have current public liability insurance, 24hr roadside assistance and all required insurance for a roadworthy vehicle. 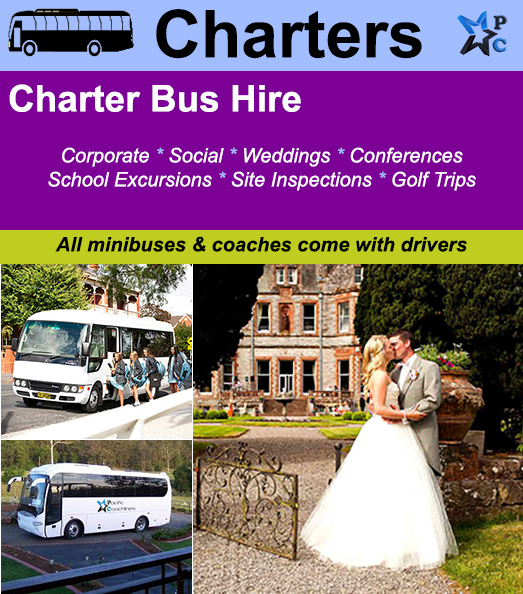 Contact us today for great bus hire rates.